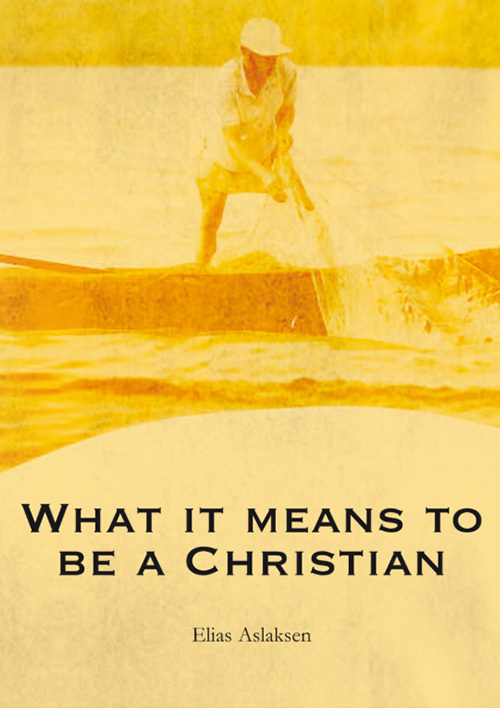 When I was five years old, I experienced something that became fundamental for my Christian life. I remember it as if it were yesterday. I was a very sensitive and worried little girl, terrified outside the four walls of our home. The thought of starting school was a huge source of anxiety for me, and I cried long before, just thinking about the fact that I would soon have to start school. I received peace and rest in my heart for the rest of the year, because I had told everything to Jesus and I reminded myself of that every time. I was no longer afraid; I felt strong. I knew He was standing by me. This experience was a foundation for my Christian life to this day. Jesus is my best friend. I can cast everything on Him, with a simple faith, and He takes care of me! “Then Jesus called a little child to Him, set him in the midst of them, and said, ‘Assuredly, I say to you, unless you are convertedTo make a decision to turn away from sin and darkness, from the power of the devil to the living God. We repent from our former sins, cast off our old life – a life which enjoyed living in the passing pleasures of sin – and lay hold of a new mind – a mindset that is determined to resist... More and become as little children, you will by no means enter the kingdom of heaven.’” Matthew 18:2-3. I have been through many different trialsTribulations or trials refer to any event or situation that comes your way that tempts you to sin; that gives opportunity for sinful thoughts and temptations to rise up in you. The tribulation or trial arises when your mind to serve God struggles against your lusts to sin. It also often refers to difficult situations that test your ability to... More in my life concerning my family, health, finances, etc. – many experiences that have strengthened my faith in God. Sometimes I’ve been tempted to worry, and the anxious thoughts come back. When we get older our reasoning can also grow, but the experience from my childhood has often come back to mind. “Keep your heartGuarding your heart (your mind, your attitude, your inner life and relationship to God) is the same as keeping your heart pure. It is when you make sure that no temptations in the form of impure or sinful thoughts are allowed to enter your heart, but are nipped in the bud while they are just a thought. It is a... More simple as a child.” This simple childlike faith – to believe in His Word just as it’s written – has been my help. God takes care of me by giving me a deep rest and peace when I, in childlike faith, cast all my cares on Him! (1 Peter 5:7) I have received the “solution” which has helped me again and again in life’s situations. Every time I have believed and obeyed God’s Word simply without trying to reason everything out – the same way I did when I was five – God has given me peace, as it’s written in Psalm 23. This has been a passage in the Bible I have experienced throughout my life. Over the past few years, especially since becoming a mother, I have realized that if I want to live a real Christian life that is entirely well-pleasing to God, a life where I become more and more happy and full of peace and strength no matter what comes my way, it is directly linked to the way in which I take things. Even the smallest things. My reactions – how I react when my children and husband see me “in action” each day, but also in my thoughts where only the Lord sees me. Am I real? Am I the same person wherever I go? Do I practice the Word of God wherever I have received lightGetting light means that the Holy Spirit gives you revelation about something. For example, when you have “enlightened eyes” you can get light over your own sin and see that you are selfish, proud, etc. It can also refer to getting more insight (revelation) in the Word of God and His work in and promises for those who follow Him.... More? Can my children say that I am just as gentle, happy and patient towards them as I am outside our home, for example? I have seen how God responds to the prayers of a pure heartHaving a pure heart means that you do not agree with any sinful or impure thoughts that come up in you, but rather you deny these thoughts and put them to death. It means that you are not affected or tainted by sin on the inside. (Psalm 51:10); Matthew 5:8; Proverbs 4:23)... More; prayers that are well-pleasing to Him. (1 John 5:14-15) When my desire in the different trials of life is to get more of His nature, His patience, His strength, His rest, His Spirit, His love, His wisdom, the willingness to do good, more courage, peace, etc., I know that my prayers are well-pleasing to Him. My natural ability to love is so very limited, and it’s written in God’s Word that we are to partake of divine natureGod’s nature, or divine nature, is perfectly pure and it cannot be tempted by evil. We are promised that we can be partakers of the divine nature by fleeing the corruption in the world that comes through our lusts. As we gradually overcome our sinful human nature it is replaced by divine nature – God shares His own nature with... More. (2 Peter 1:4) That’s why I don’t pray for my situations to change, but I pray to get more of Christ’s love! I know that when I pray in such a way, these prayers are well-pleasing to God, because it’s not my own will that I want to accomplish, but His will. I don’t pray to satisfy my own wishes, but to obtain more of His life, and that is why I am certain that I will get what I ask for. I can ask Him anything with full assurance, and carry on in my daily life with the certainty that He is beside me and will help me, whatever comes my way. He takes care of all things, even during my sleep! Once I have prayed, I can learn to be patient and repeat to myself, “I told Jesus,” until I obtain this rest, and then the results come! I have learned to put the first thoughts – my sorrows, worries, things I don’t understand, etc. aside, and I have seen how God, in His time, provides. Several times, I have experienced miracles! The simple experience of prayer in my childhood strengthened my faith, but I have seen how God wants to do even more in me and through me – He wants to transform me, so that I can be more like Him! When I have the same desire that God has for me, then I have this assurance that He will transform me, and an immense joy because I have a pure conscience. God is always at my side! He gives me more power to act, more of His Holy Spirit, and more revelation in His Word. This is the most interesting life a person can experience here on this earth!